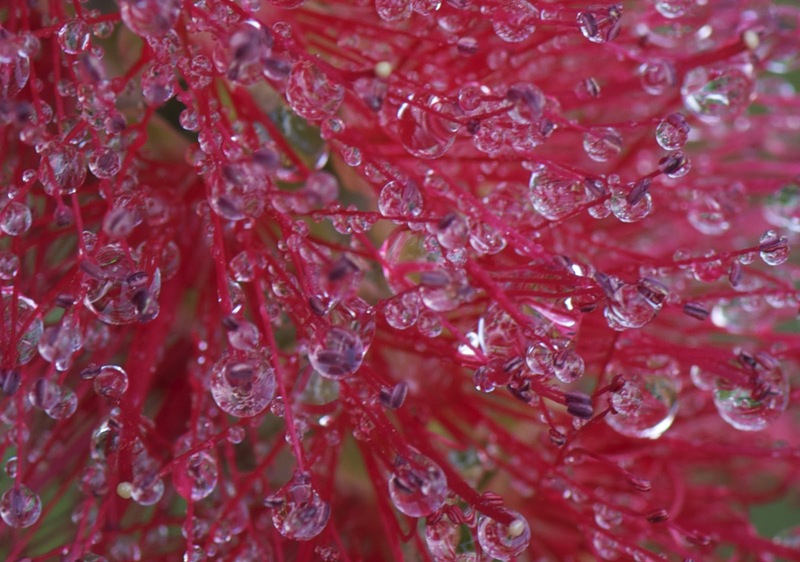 A surprising look at the plants around us and how they've influenced our world. This month's Berry Go Round features an eclectic collection of 11 posts from 10 contributors. 1. 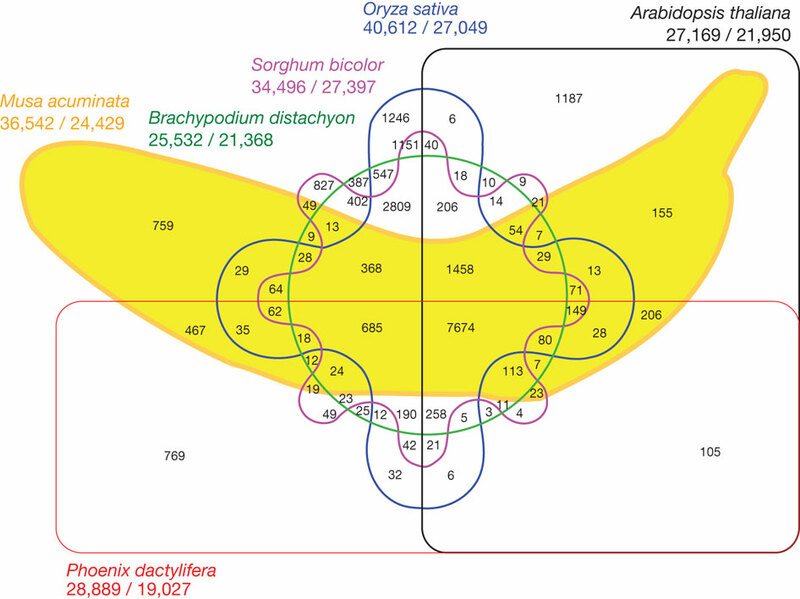 Kathryn Turner at Alien Plantation gives a great overview of the recently published banana genome. I agree with her that the Venn diagram in this article is one of the best, or at least most original, ever. 2. Hollis from In the Company of Plants and Rocks has two interesting posts this past month. What's an old oak for? 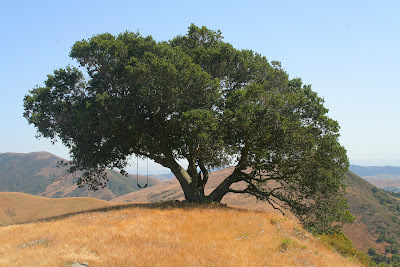 discusses the variation in oak morphology, and wistfully remembers swings hung from old oaks. 3. Hollis's second post describes her recent jaunt to the Black Hills of South Dakota, in an attempt to make a comprehensive inventory of the mountain meadows originally described by none other than that known humanitarian, Lt. Col. George A. Custer back in 1874. Sadly only about 10% of the meadows surveyed appeared to be undisturbed by invasive species. It was a rainy day in the mountains near the Turrialba Volcano in Costa Rica. I was up early to observe the foraging birds, to watch tip-toeing clouds passing through, and to savor the crisp fresh air. 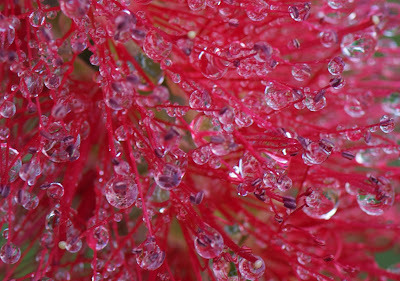 Along my walk I came across a beautiful Callistemon laden with bushy crimson flowers and heavy with raindrops. A variety of Hummingbirds, Blue-Gray Tanagers, and and migratory Orioles decorated its branches and it was a splendid sight. 5. Molly Day from All the Dirt on Gardening teaches us a thing or two about using plants to attract butterflies. 6. 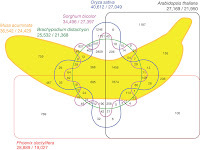 Yuval Sapir this month explains how plants move. No, plants haven't learned to pull up their roots and migrate. But their seeds are very mobile when they hitch onto Yuval's sock! 7. 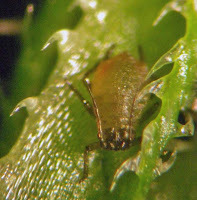 Phil Gates from Beyond the Human Eye uses a microscope to show the rough world of aphids navigating trichomes, in his post Aphids in a Savage Landscape. 8. Mary Williams suggests we all read the paper "Interspecific RNA Interference of SHOOT MERISTEMLESS-Like Disrupts Cuscuta pentagona Plant Parasitism" which was just published in The Plant Cell. in Mary's words: "This gets my vote for 'best paper to give undergraduates'." 9. 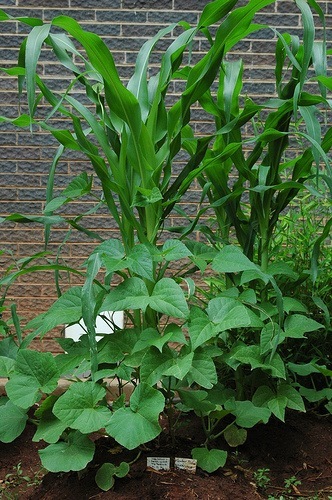 Richard Stout, a.k.a plantguy, writes in How Plants Work about plant "social networks" and companion planting. 10. The Phytoreactor examines the transparent windows in the leaves of the seaside ox-eye (Borrichia frutescens). 11. And lastly, I wrote this month about the marriage of art and GMO technology in An enigmatic petunia. Laurent from Seeds Aside will host next month's carnival! THE DAILY PLANT posts short snippets of what's cool, new or surprising about plants. If there's a particular plant you're interested in, let me know and I'll come with a post, or find a guest blogger who can. Interested in providing a guest blog? Drop me a line. Daniel Chamovitz is Dean of the George S. Wise Faculty of Life Sciences, and Director of the Manna Center for Plant Biosciences at Tel Aviv University. His book WHAT A PLANT KNOWS is published by Scientific American / Farrar, Straus and Giroux.